Giveaway! Cedarwood Spice Natural Cologne Home | About Us | Opportunities | Sponsorships | Contact Us! This week we’ve teamed up with Black Swan Herbals to give one lucky giveaway winner a 2 ounce bottle of their signature ‘Cedarwood Spice’ men’s handmade cologne. This fragrance is absolutely amazing, and it will be the perfect compliment for a man of any style. Grounded, earthy, masculine, and light, this all-natural cologne will set you apart from the overpowering and often ‘fake’ smelling colognes the other guys wear! 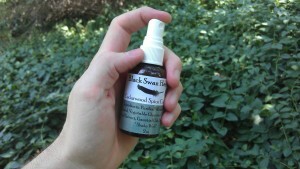 Did you catch our review of Black Swan Herbals ‘Cedarwood Spice’ cologne? 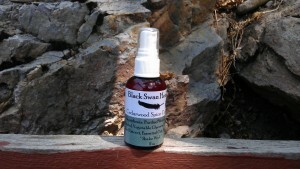 Tagged Black Swan Herbals, Cologne, giveaway, Handmade Cologne, handmade men, natural cologne. Bookmark the permalink. Would love to win this for my significant other! It is! Thanks for joining in Kay… good luck! I would love to win this for my husband! He is so wonderful and deserves something nice. 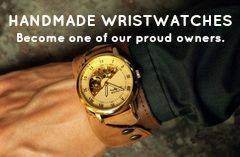 I’d defintiely give this as a gift to either my dad or my brother. Looking for natural fragrances. This seems like it would smell great.